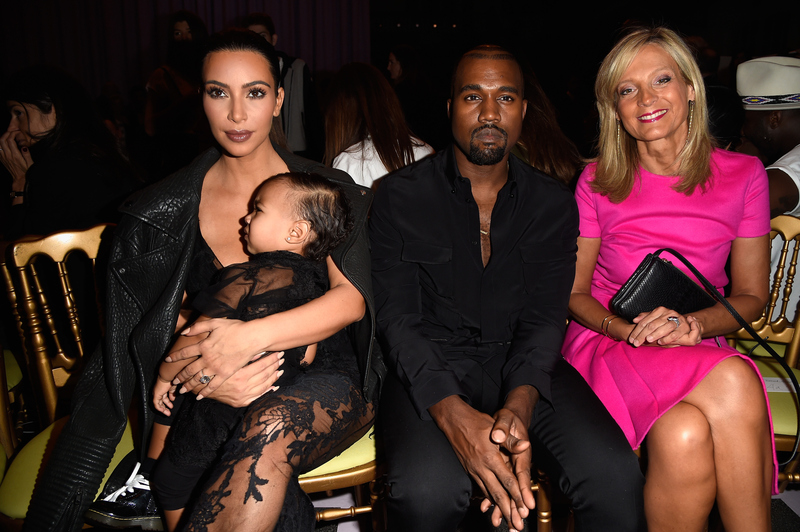 Little North West's temper tantrum has basically been the biggest thing to happen to NYFW so far. And Kanye West thinks he knows exactly what it was about. Well, at least he thinks he does. "She just wanted people to stop being mean to her daddy," West told i-D. "Because she knows that her daddy loves the world and just wants to make it a more beautiful place." Hmm, sureeee. Well, I'm glad that he can at least make a joke out of it. This came after fierce criticism of West was unleashed onto the internet after his most recent Grammys outburst directed at Beck during his acceptance of the Grammy for Album of the Year. Aside from West's theory, there were honestly a lot of things that could've set North off. Maybe it was her mom's brown outfit. Maybe it was that kevlar-type vest that she was strapped into. Or maybe it was the fact that she's literally a toddler and was forced to sit through a fashion show that probably went on forever. Props to Beyonce and Jay-Z for keeping a straight face throughout North's meltdown, even though they were totally thinking, "This is why we left Blue at home."